Duration: 40 minutes. Including interactions. 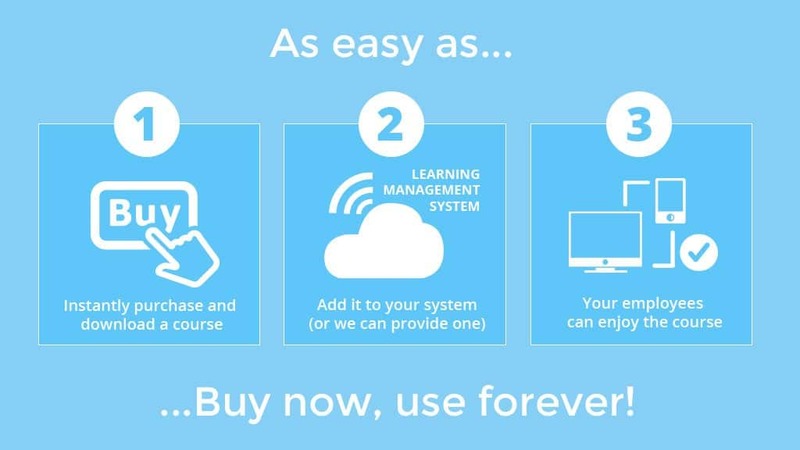 These Using Work Equipment e-learning course materials are intended for use by people that want to make e-learning an additional part of their learning and development offering. According to Health & Safety laws, all employers are required to ensure, so far as is reasonably practicable, the health, safety and welfare of all their employees. There are also specific pieces of regulation which refer to the use of equipment at work, such as PUWER, LOLER and the Supply of Machinery regulations. Work equipment is almost any equipment which is used while at work including: machines, hand tools and lifting equipment. Using the wrong equipment for the job, faulty equipment, inadequate or no training, and not taking proper precautions can all lead to accidents with work equipment. These accidents can occur as a result of falls, victims being caught in machines, flying objects, poor training or using the wrong equipment. This Using Work Equipment e-learning course provides learners with all the information they need to effectively use work equipment and help to ensure they avoid injury for themselves and those around them. Identify the regulations which are specific to using equipment at work. Review the dos and don’ts of using working equipment. Explore examples of when records should and needn’t be kept. Understand how to identify and report symptoms of HAVS and back pain from WBV.